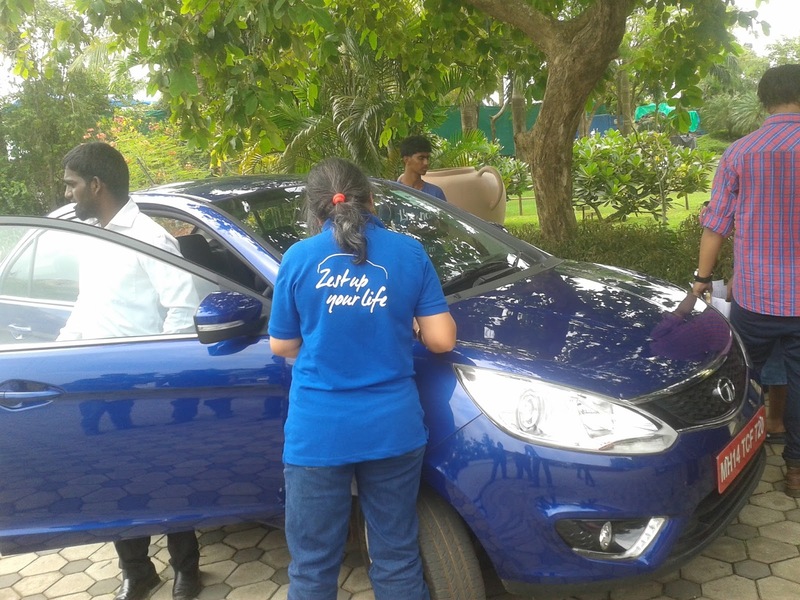 blogadda experiences tata zest Experiencing Zest! One fine day as I was fidgeting with my iPad, I got a mail from Blogadda regarding the Zest Up your life Contest. Those were the difficult days of life where I had plunged deep into the ocean called work. Days passed and we all know that even time flies. Yes, they did! Now that I have been known as a regular defaulter, I tried not to be a defaulter this time. After managing time from the tricky schedules and overcoming the timelines and deadlines, I finally submitted the contest entry on the last day of the contest. The very next day my gorgeous blogger friend Ankita Singhal pinged me on Whatsapp and congratulated me. I was stuck in the Saki Naka traffic and I was wondering why would she congratulate me just like that! It was then she mentioned the news that I was one of the winner of the blogadda contest. Events quickly unfolded and sooner I found myself in Goa. The Zest moment had just arrived and we were ready to get 'zestified' at Goa. We were briefed about the events through emails. What next? Sooner, I bumped into another blogger named Keyur who eventually turned out to my good friend. Having boarded the Goa bound Jet, I was curiously waiting for the jet to land at the Goa Airport. Yes, it did reach 10 minutes before the scheduled time. Pilots! You're incredible! We were transported to the hotel via a bus. I met few other bloggers at the airport and then few at the Hotel. We reached 'The Zuri' hotel at 3 PM. We were greeted by the smiling faces of the blogadda team members. Hari, Ankita, Anand and Preeti - you guys were awesome! A beautiful lady with a smiling face applied a red tikka on every bloggers forehead. This is a traditional way of welcoming people in India especially the outsiders who visit India. So,till this time you could experience partial Zest. So it was time to get Zesty! #ZestUpYourLife moment had arrived as we stepped inside the Zuri! We were allotted rooms and I was put up in room number 165 with another stylish travel blogger from Pune. The paper bag contained details about the agenda for the different activities that would take place over the weekend. After a quick power nap, I woke up to a warm greeting. "Hey hi!" I heard a voice. It was my room mate for the day. It was blogger Siddharth Joshi from Pune, a medical device designer by profession and a passionate travel blogger. Sharp at 5 PM, we both left for the Unicorn Hall where most of the activities were supposed to take place. I was thrilled to see so many bloggers at a single place. It seemed like a blog festival where bloggers from different platforms, niche and places had arrived to grace the event. I happened to meet my blogger friend Sushmita from Delhi. It was actually a pleasant surprise to meet her especially after knowing her for almost 6 years. Ankita from Blogadda finally started the event and briefed about the entire activities that would take place over the weekend. I also happened to meet the ever smiling Harish from the blogadda team whose smile invokes positivity. After high tea was served, few of us decided to explore the Zuri and the beach nearby. We meandered all over the resort and tried to explore it as much as we could. Sid Joshi, Keyur, Deepak - a popular Travel blogger from Mumbai and me left for the beach. I felt blessed to be accompanied by two most popular photography bloggers around me - Sid and Deepak. Sushmita joined us later. The main event started at around 7.30 PM where the greats of Tata motors and the masters behind the Tata Zest car gave an overview of their product. Oh! How could one forget the gorgeous Miss Malini! She was the host for the evening. We were shown few AV's regarding the making of the Tata Zest. Tata Motors Officials Sandeep, Minal, Anand and Rajdeep spoke about their product and most of the features they spoke were really impressive. Rajdeep resembled Steve Jobs. There was a Tata Zest Miniature Design version of the car placed behind along with a Video game. Engineers and Designers from the Zest team were seated behind. The Zest factor had increased a bit. I had a chance to interact with Sandeep and Rajdeep about the car. It proved out to be a fruitful discussion where I got to know many insightful stuffs about the automobile industry in general. Miraj from the Tata team explained us the 'ConnectNext' concept of the Zest Car. The infotainment system is amazing. All these while I forgot to mention one guy who is also known as the fastest man in India. It was Narain Karthikeyan who spoke about the Tata offering. We all clicked a selfie with him, a group selfie! We then head for the dinner. A sumptuous meal awaited us. One thing I should mention here is the Food! The food was good! It rhymes! ;)Nothing could beat the food. Zest reloaded! Most of the bloggers clicked pictures with Narain Karthikeyan while few were involved in discussions with fellow bloggers. Few of them spoke to the Tata officials just like I did. What kind of event would it be without alcohol?! Yes, there were alcohols too, even breezers and Real Fruit juices for the non alcoholics! It was fun to meet and interact with fellow bloggers whose blogs you have been reading since your young days. I remember reading and commenting on Shilpa Garg's blog during my younger days and that day I met her in person.I used to read the Indian Home Maker's blog too and that day I had an opportunity to tell her that her blog posts were fabulous and she was a great source of inspiration. I got an opportunity to interact with most of the bloggers from almost all backgrounds. I spoke to Ritu Lalit, a blogger turned Author. I met Santosh who knew me as TSW or the Solitary Writer. All these things already made me feel Zesty! The night sky was young as we returned back to our respective rooms. My roomie Sid Joshi wanted to explore the swimming pool which was outside our room. But unfortunately it wasn't allowed. 6 AM. We woke up and started packing our bags after getting refreshed. Sid was busy capturing the early morning scenes outside the room. It was nice knowing him and I found him nice too. I rediscovered blogging once again and this reminded me of my good old days and today I miss each one of them. We left for breakfast at the Waterfalls Cafe. 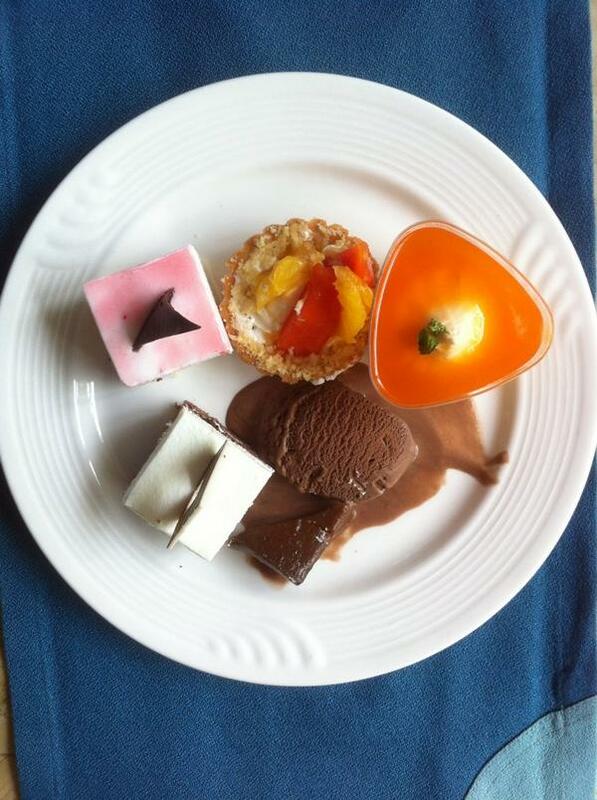 A rich breakfast awaited us with lots of varieties. Such a Zesty early morning! After returning back from breakfast, Miss Malini briefed us about the morning activities. I was placed in group P1 along with blogger Deepak and blogger Rekha Kakkar. At this point, I realized that it was time to get Zesty in the Zest car. As we walked along the sloppy roads, I could witness a series of Zest cars parked one after the other. The officials were standing besides it. We sat on it and starting exploring the Car. I had no driving licenses so I had to sit behind and watch my team mates drive the car. They both drove the car turn by turn at every Pitt stop. 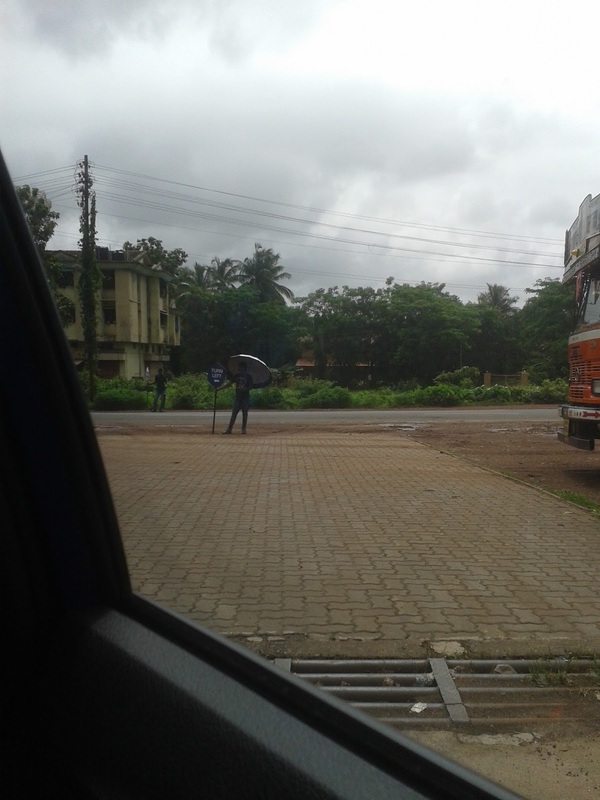 It was a perfect Zest Moment as we drove through the solitary roads where other vehicles were played a cameo. We were riding the Zesty drive of our life! 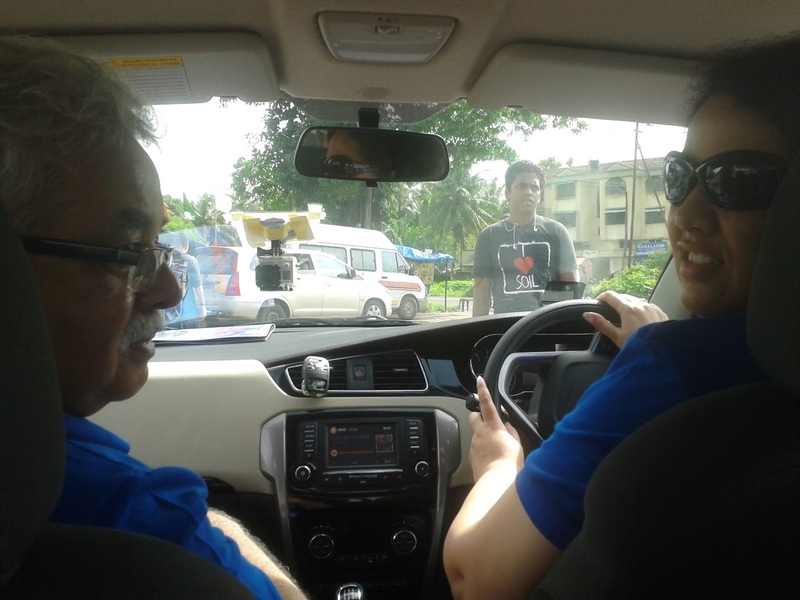 Rekha and Deepak were driving the car and I was busy scanning the QR codes given to us at every Pitt stops. I clicked pictures of the mesmerizing scenaries. At every turn there were was a person with a board indicating the directions to facilitate us. Sooner we shuffled and got into the AMT Diesel Car. Uday from Tata Motors had warned us that the AMT diesel car could be a tough guy as it has no clutch and people with Manual car driving experience often mistaken the brakes to be the clutch and find themselves in a tricky situations. Yes, the AMT Diesel car was indeed tricky. We got a dose of it too! It was indeed an amazing experience. Such a Zesty drive! We were asked to blog about our experience and here I am blogging about it. I should admit that at this point of time I had a regret of not having a driving license. My first action item when I reach Mumbai would be to attend the Driving test on the coming Friday and get my driving License. It was an amazing experience and it was fun once again interacting with few familiar faces and many new bloggers. And not to forget that I had a Autograph taken from Narain Karthikeyan, the fastest man of India. I hope to preserve it for a long period of time. So, it was 'Zestabulous', 'Zestifying','Zestendous', 'Zestiful' experience ( Thanks to Sandeep of the Tata Motors, one of them was coined by him and the remaining by me). I loved being a part of this event as a blogger. 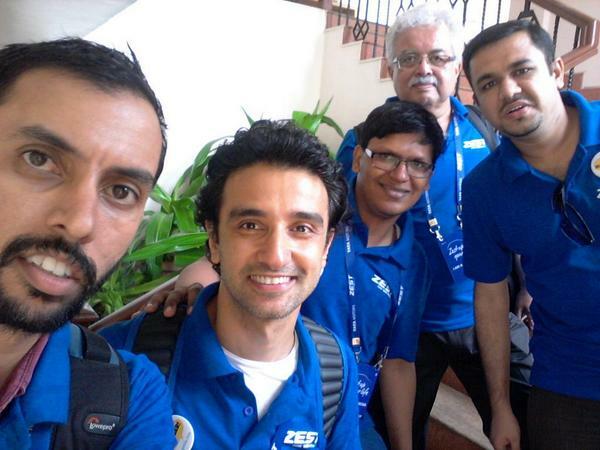 All the best to the Zest Team! A special thanks to the Blogadda team. The event was well organized. I am glad that even I was a part of this successful event. Thank you Harish and Ankita from the Blogadda Team. You guys Rock! Very creatively shared your Zestful experience!! Meeting Narain Karthikeyan just stole the show!! Lucky you!! Goa looks charming.